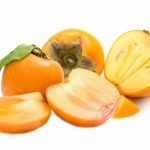 31.10.2018 19:23 The festival of persimmon is held in Azerbaijan. The second International festival of persimmon is held in Balakan. The festival presents products and dishes made from persimmon. The opening ceremony of the international festival was held in the Heydar Aliyev Culture and Recreation Park. The event was attended by representatives of international organizations operating in Azerbaijan, embassies of foreign countries, ministries and government agencies, members of the Milli Majlis and others. For the festival prepared a varied concert program.